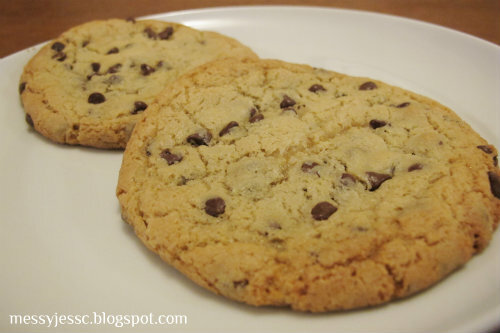 Chocolate chip cookies have always been my favorite cookie, especially when they are homemade. The only problem with making a whole batch of chocolate chip cookies is that I tend to eat the entire batch...within the same 24 hour period. Fortunately, there's now a solution for all of the cookie monsters out there - presenting, the perfect single serving chocolate chip cookie recipe. It makes just two delicious chocolate chip cookies which is great for satisfying one's sweet tooth, without the risk of over-indulging. Once you have everything you need, preheat your oven to 350 degrees and line a baking sheet with parchment paper. In your microwave-safe bowl, heat butter until it just starts melting and is softened. Blend your sugars, salt, and vanilla in with the butter. Then add in your egg yolk and stir again. 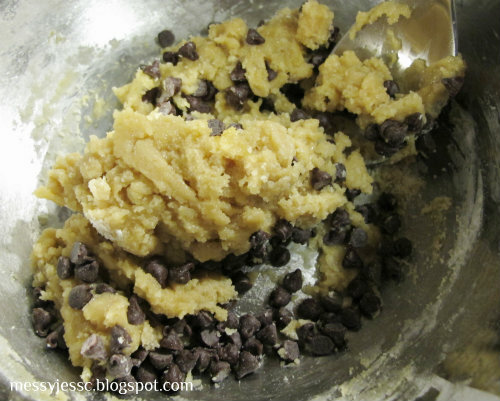 Add in your baking soda and flour and stir until all of your ingredients are combined. Finally, stir in your chocolate chips. 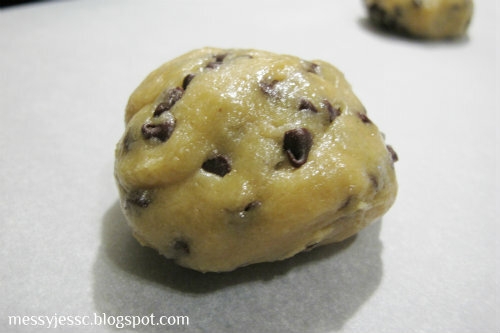 Form your dough into two balls and place them on your prepared baking sheet. The cookies will spread during baking, so make sure they are not placed too closely together. 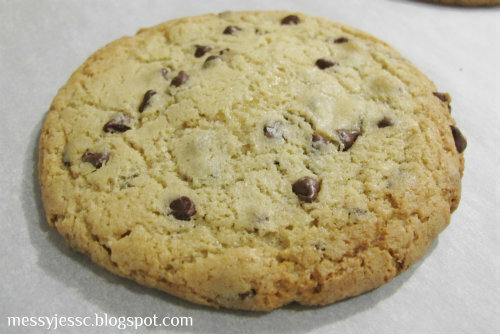 Bake your cookies for 8-10 minutes, or until the edges are golden brown. After removing the baking sheet from the oven, give the baking sheet a firm, but careful bang on your counter top to deflate your cookies and give them a perfect wrinkly appearance. Finally, pour two glasses of milk and enjoy your perfect portion goodness. 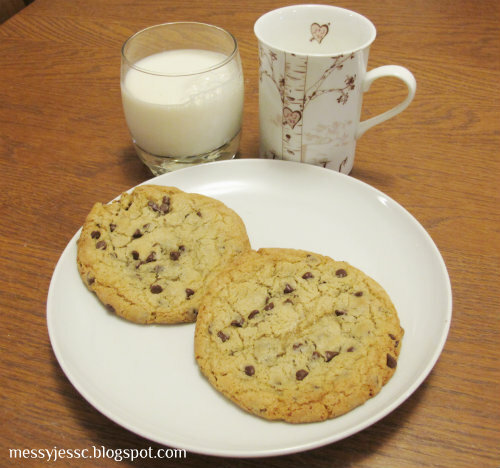 Check out the recipe for perfect single serving chocolate chip cookies and other tasty treats on my What's Cookin' page.